Month One - Today we wrap up Month One of our One Year Bible readings in 2007! Congratulations! Your marathon pace is looking great. The wonderful habit of reading from God's Word every day is starting to settle into place in your life. Keep your eyes forward on the path before you this year and your eye on the prize! As Paul tells us in Philippians 3:14 – "I press on toward the goal to win the prize for which God has called me heavenward in Christ Jesus." Let us each press on toward the goal! Comments from You and Questions of the Day: It's interesting to me how fast January 2007 seems to have flown by. February 2007 is now before us. I don't know about you, but I set some big goals and resolutions for 2007 and somehow I'm suddenly a month behind on progress on those goals. However, even though I am feeling behind on some goals for 2007, I know that ultimately my life is in a very good place because I am moving forward with my relationship with God. Reading and studying God's Word every day is a higher priority than any of my other goals and resolutions. Those other goals and resolutions can wait. My relationship with God cannot wait. As long as I am in a growing and loving relationship with God, Jesus, and the Holy Spirit, nothing else really matters. How about you? Are there some goals and resolutions for 2007 that you feel like you might be behind on? Do you agree that reading from God's Word each day and growing in your love relationship with God is more important than those goals and resolutions? Also, what verses or insights stand out to you in today's readings? Please post up by clicking on the "Comments" link below! I am truely enjoying this trip through the bible, and the interesting commentary. I read it early in the morning and it realy helps me start the day with a positive mind-set. 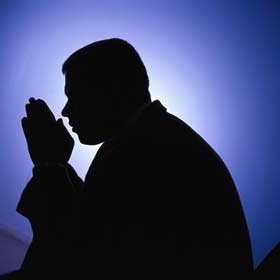 My thoughts on God answering prayer if we believe. I feel that if it is God's Will he will answer the way we want Him to answer the prayer. His answer is not always what we want. We must pray for His will, not ours. I do believe also that death is a form of healing. Remember when Paul prayed three times for God to heal him, but God said my grace is sufficeint. It's hard when a loved one is sick and dying, but we must know that God is in control and He knows what is best. Thank you again for this site and I am really enjoying it. The pictures make the scripture come alive for me. God Bless You. Matthew 21:22 - "And all things, whatsoever ye shall ask in prayer, believing, ye shall receive." 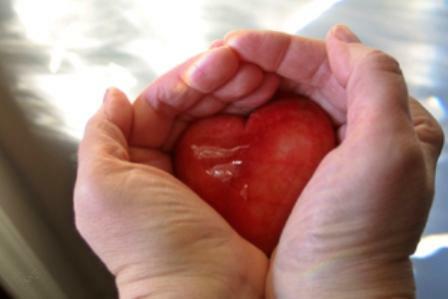 I am a minister, and I have prayed with people and see them miraculously healed, I have prayed for others who died. Including my mother who died in 1988 of cancer that came back from years before. When my mom was first healed many years before, many doctors, etc., could not understand it. She was supposed to be dead. Finally, after many years 100% free of cancer the church she attended felt enough time had passed and knew she was healed, the very week days before she was to testify she had pain (cancer) attack her. She went forward in pain and gave glory to God. But she started to get sicker and sicker, until finally she went home to be with Jesus at the young age of 57!!! What happened? This was a woman of faith, a woman who walked with God. The most Godly woman I have ever known. My mom touched many lives. I miss her so very much. So now do I pray for sick and diseased people, absolutely! AND when I pray I believe for the LORD to touch their bodies. I have seen gradual healings and instant. But REAL healings all the same. I feel that the LORD wants me to leave my mom's situation with Him. No questions asked, in eternity I will understand it fully and will see my Lord NEVER failed me. I love to pray for the sick and believe for God to move. And to see other cancer patients or sick people whom God isn't finished with yet get healed. So no matter what the outcome continue to pray for the sick. Just like we pray for the lost regardless of the outcome. Also my brother-in-law got saved at my moms funeral, as my pastor was told by my mom before she died, to have an alter call at her funeral. My brother-in-law now over 17 years later is a strong Christian in the LORD. AMEN! AMEN! HEALING: God always heals the believer – either here on earth or in heaven. We should always pray for healing but for healing as God knows is best for the one that is ill. Mike, the thing that we forget is that this earthly body was not meant to last for eternity. Yes, God can and does heal here on earth but God also knows when it is time to condemn and dispose of our temporary housing. Just as an engineer determines if a building can be made safe for future occupation or if it should be condemned and torn down, our Great Engineer knows what the body would have to withstand in the future and if it is worth preserving. God determines whether to heal the physical body here on earth or whether to replace our temporary housing with a beautiful spiritual body. Only He knows what the physical body would have to endure in the future and what pain the person would have to face should the body be healed of its immediate illness. Only He knows what is best for all concerned in the long term and only He can determine the type of healing that is best for everyone. God always answers our prayers regarding healing and He heals in the way that it is best for the one that is ill! When God replaces the body with a spiritual body, He leaves behind for their loved ones beautiful memories and the strength to endure the separation. When a Christian passes, they step off the earth and into the hearts of all that love them so the deceased is forever with them until the time we are all reunited in the heavenly realm. In regards to prayer I think verses like matthew 21:22 "you can pray for anything, and if you have faith, you will receive it." tough verse. I have not seen this happen much in my life. I have prayed for many things. Some small some big. Did God answer? I'm sure He has but there have been times His answers have not been forthcoming inspite of all the faith i mustered up. Do I pray any less? No. Like C.S Lewis once said words to this effect, "I pray because it's the air I breathe. I can't help myself. I just pray." I have recently read Philip Yancey's latest book called Prayer: Does it make any difference? I have to believe this is one of Yancey's best. He has done those of us who don't have a 'rabbit's foot' approach to prayer a big favour by dealing with the hard issues of prayer. As a result I pray more rather than less in spite of prayers not being answered. Jim, I really appreciate what you wrote concerning your mom. My mom became paralyzed four years ago. Though the paralysis is limiting, the pain is like acid burning on the inside of her. I left working with Wycliffe Bible Translators in Africa (which I loved) to care for her (which is not a burden for me). Initially I responded well, but seeing the pain steadily increase up close and personal paralyzed my faith. I had truly believed Matthew 21:22. But I became unable to pray for physical healing and really believe I'd see results. I could pray for strength, peace, endurance etc. or for healing for others, but not for my mom who is a beautiful godly woman. This really grieved my heart. Last week I just started a wonderful study by Beth Moore called Believing God. It hasn't answered all my questions about healing, but as I delve into who God is and meditate on the completeness of His compassion, and the greatness of His power within us, who believe, my hope is being restored and the fire of my faith is being fanned once again. I want to shout "God You are good!" I'm excited to continue this study and would recommend it to anyone who is struggling with questions like, "Is God who He says He is? Can He do what He says He can do?" Now I say, indeed He is and indeed He can, whether my physical eyes see it or not. I think you site is awesome, I have been going through some rough times with my faith, and I reach out for help, it is hard for me for some reason to keep focus. I am 52 and I do not have a relationship with the lord to me this is sad. I struggle everyday. "When a Christian passes, they step off the earth and into the hearts of all that love them so the deceased is forever with them until the time we are all reunited in the heavenly realm." Pat I truely love what you stated above....I lost my father 2 years ago and my father in law a year ago...it has been a tough adjustment but this statement makes it much easier. Thank You. I too enjoyed the passage of believe and you receive. You may not always get the answer you want but God knows best. 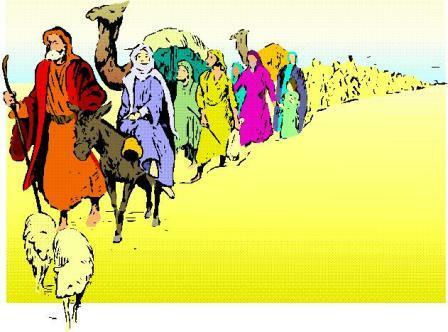 Exodus 12:51 "On that very day the Lord brought the people of Israel out of the land of Egypt like an army". Psalm 25:21 "May integrity and honesty protect me, for I put my hope in you". Proverbs 6:14 "Their perverted hearts plot evil, and they constantly stir up trouble". I have always prayed and I believe that all prayers are answered, sometimes the answer is yes, sometimes it is no, and sometimes it is wait-not now. I know God answers-when I was pregnant with my twins it was high-risk and I was told my babies would die, but they were born healthy and will be 17 next week. My son is in Iraq, 2 days ago his hum-vee was hit by a road-side bomb but he and his team are all fine-the hum-vee had just been outfitted with special armor [the armor of God :)] the day before!!! My sister's husband is not a believer-we have been praying for him for many years. (My sister turned to Christ several years after their marriage). He is a manager of a band and the leader of the band has just been diagnosed with cancer-37 yrs old and it is bad. He was married last Saturday in the hospital chapel and it was a very God-filled service; my brother-in-law was very shaken. Maybe God is using this man and his illness to bring my Brother-in-law to Him. I pray for them all and God's wisdom-and His plan and His will. Would you please pray for them as well. Maybe you will find it interesting and useful. I have not been keeping up with these readings durng the past week and a half or so. I have read these chapters in the past. Maybe God will lead me to review them again soon. I really do enjoy reading about Moses. I have been assembling a small home music recording studio. I am not sure exactly what I will use the studio for, but I have enjoyed making music since I was a young boy. I also tested yesterday for an apprenticeship with the Elctrical JATC of Southern Nevada. Please pray with me that God will help me secure this job, if He wills. Mae: I am encouraged by your faithfulness. May God continue to bless you as you study His Word! Thank you Mike for your steadfastness. "If you believe, you will receive whatever you ask for in prayer." Oh yes, I struggled with this so much! I have prayed for things that God said no too many times. from guys, to passing my cpa exams, to my mom beating cancer. God said no to all. we have to factor in, God has our best interests in heart. We often pray for 'our' will to be done. In fact we should be praying that our will would conform to His! Our wills have to be in line with what God wants to do and many times he will say no, or say wait. BUt thats not my will, I want what I want now!!! haha, But its His will. we may want things that God knows will destroy us, we may want things, but God says wait...when you are inline with Me, you will have it. He often time has bigger and better things in mind for us. a silly example, but say I pray for a flower. God may say no, when it the end, He wanted to give me a gigantic rose garden. 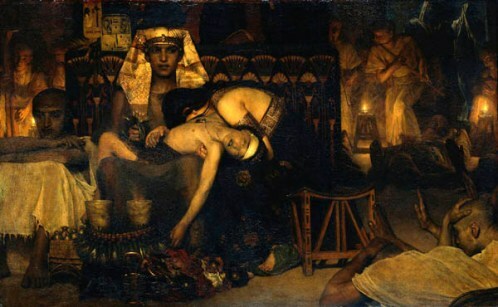 An example my pastor used last sunday was Samuel's mother. This woman was barren and prayed and prayed for a child. Never happened....God made her wait. Why? We go on in the readings and see she came to a point where she was desperate, so she said to God, if you bear me a son, I will give him back to You! This is what God wanted from her, but she didnt come to this place til she waited and waited. God wanted a man to use and this woman was so desperate for a son, once HER will was in line with God's, He granted her request. Even if our requests are totally reasonable, like for healing, not something silly like to win the lotto, haha. But God knows the outcome, He knows how to grow us, He has a plan and our wills must be in line with His. Many things I pray for God says wait. ugh! But everytime He has made me wait, when He finally answers my prayer with an affirmative, I see it was best this way and sooo worth it. I couldnt have leanrned the things I did had I not waited. When God says no, somethings I think. WHY GOD? I just dont understand! But I see later God had my best interests in mind, things I couldnt see or know at the time. many times I can look back and say, whoa! thank you God for saying no! I'm sooo glad He didnt give me what I so desperatly 'thought' I wanted. Bottom line, God knows what we have need of and He knows us better then we know ourselves. He knows the whole picture, we only see part and its often distorted. In the end, its to His glory that He fulfills His plan in our life and this is very joyous for us. there are times when God says yes right away and honestly I'm shocked cause I'm so used to waiting. I'm still waiting on the Lord...that is the Christian life, to wait on the Lord. and we will see in Exodus a great example of waiting on Him and the consequences of murmuring, complaining, and being ungrateful. Lets be grateful no matter what, thank God for his answer whether it be yes, no, or wait (my least fave is wait) but whatever His answer, it is PERFECT! 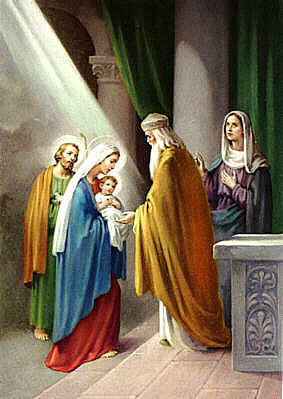 awesome in matthew, His hour had finally come for Jesus to present Himself to the people as the Messiah. We read this at church last night sunday in the book of John. My pastor was saying, this is the most radical statement anyone made. He made Himself to be equal to God which was blasphemy in the Pharisees eyes. (therefore they sought to kill Him). Some peopl say Jesus was a good man, a good moral teacher. But here He proclaims Himself to be the promised messiah! He is either a lunatic or really is the Messiah...one cant take neutral ground on this. He no doubt is the promised one of God! God Himself, incarnate. Love Psalm n Proverbs too! Well, I did fall a behind a bit in the ‘One Year Bible ‘ course for 2007. I think that I may have missed about six days this month but I intend to go back and make it up. One of my goals is to stay committed to it to the very end. I had purposed at the beginning of this year, one way or another, to spend more time in the Word of God and in prayer. I have understood for many years that this is vital to spiritual growth and cultivating a personal, intimate relationship with the Lord. Whenever in times past that I neglected that I suffered spiritually because of it. I have more free time now than ever before so there is no excuse. “Leaven” is symbolic of sin. 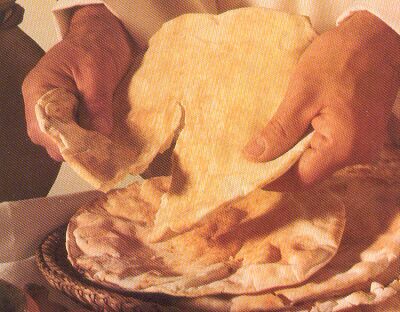 The children of Israel were commanded to eat “unleavened bread “ because it foreshadows Jesus Christ, the Bread of Life ( John 6:35, 48 ), who was without sin ( Hebrews 4:15 ). For the Church it represents how we have been purged of our sins by the blood of Christ and how we have been made “a new lump” ( 1 Corinthians 5:7 ) or a new creature in Him. It reminds us that we are called to live holy lives and to adhere to sound doctrine for Jesus warned us to beware of the leaven of the Pharisees and the Sadducees ( Matthew 16:6-12 ). The Passover feast is intended to be a “memorial” ( 12:14 ) for the Jews in much the same way that the Lord’s Suppers is intended to be celebrated in the Church “…in rememberance “ of Jesus ( 1 Corinthians 11:24-25 ). 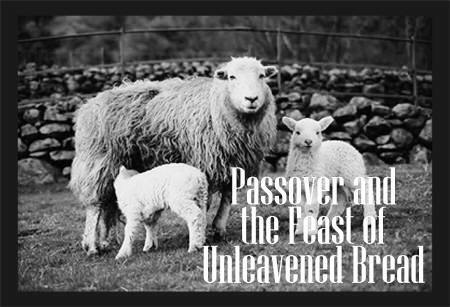 The Church doesn’t celebrate the feast of Passover because Jesus Christ Himself is our Passover lamb. He is the blood-stained door by which we enter into salvation and by which we will be preserved when the wrath of God passes over us. Glory to the Lamb of God for He is worthy to be praised! Jesus was “ the firstborn of Mary” ( Matthew 1:25; Luke 2:7 )…“ the firstborn among many brethren” ( Romans 8:29 )…” the firstborn of every creature” ( Colossians 1:15 )…” the firstborn from the dead” ( Colossians 1:18 ) …and by Him is the “church of the firstborn” ( Hebrews 12:23 ). It wouldn’t be long though until the multitudes would turn against Him. 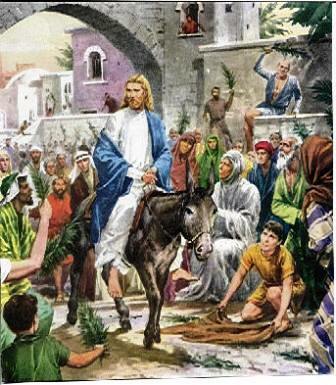 The shouts of “Hosanna” ( 21:9 ) would soon be turned to shouts of mocking and the crying out to “crucify Him!” ( 27:31 ). Instead of being crowned the King of the Jews He would wear a crown of thorns. So He was crucified for the sins of the world, rose again on the third day and ascended back into Heaven to wait until the Father sends Him again back to the earth. In contrast, when Jesus comes again the second time, He will be riding a white stallion ( Revelation 19:11 )and He will be wearing many crowns ( Revelation 19:12 ) and He will sit on the throne of David in Jerusalem ruling over the nations with a rod of iron for a thousand years. He will be universally acknowledged and worshipped as the “ KING OF KINGS, AND LORD OF LORDS “ ( Revelation 19:16 ). 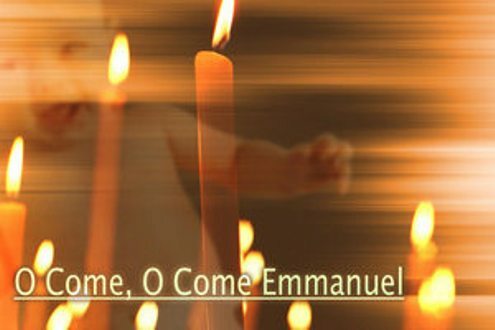 ‘ O Come O Come Emmanuel ‘ is my favorite Christmas carol. I love the lyrics to that song! I have a burned CD with no other song on it but that one, sung by various contemporary christian music artists. “Redeem Israel, O God, out of all his troubles” ( v.22 ). What a timely Scripture for the world today as we find the nations gathering against Israel in these last days over the controversy of Zion! The Jews have had nothing but trouble for 2,000 years in the nations where God had scattered them after their rejection of their Messiah and now that the Jews are returning to the land as God foretold would happen in the latter days, the prophesied “time of Jacob’s trouble” ( Jeremiah 30:7 ) seems to be drawing near. That prayer of David says it all. I am praying today in agreement with David‘s prayer and my prayers are with the Jewish people and the state of Israel. I feel in my heart that God is going to answer this prayer very soon. Verse 13 always makes me think about non-verbal body language sometimes speaks louder than words and which everybody is expressing in one way or another. Many people can read it and interpret it very well. Even if some cannot, God always can. So it says to me that I need to be more aware of how I am carrying myself. Obviously the body language spoken of here is wicked in God’s sight. One of my goals this year, amongst many others, is to read through the Bible once again, and follow this blog. I agree with you Mike, growing in the Lord should be our priority, hence reading His word daily is of paramount importance.